Garifuna Settlement Day is a public holiday in Belize, that falls every year on November 19. This holiday was created by Belizean civil rights activists in 1941, but it's celebrated on the national level only from 1977. The holiday was created to celebrate the day of the settlement of the first Garifuna people, who came to Belize after being exiled by the British army from the Grenadines. The Garifuna people (Black Carib) is one of the peoples of the Caribbean shore. They were exiled from the Grenadines in the 19th century and had to seek an asylum in Belize. The Belizean civil rights activist Thomas Vincent Ramos initiated celebration of Garifuna Settlement Day in 1941. He protected the interests of the Grifuna people and today he is considered to be a national hero. 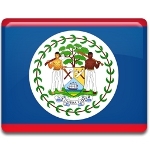 In 1943 this holiday became a public holiday in some distinct of Belize, and already in 1977 it was celebrated for the first time on a national level. Celebration of Garifuna Settlement Day lasts for a whole week. The festive events include parades, live music, dancing, prayers and also a beauty pageant, where Miss Grifuna is elected.